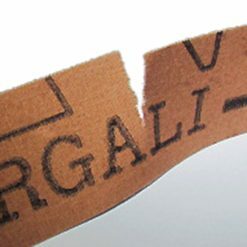 Our industrial strength, high-temperature auto tape is available in 18mm / 24mm / 36mm / 48mm. Our masking tape has no bleed through, is moisture resistant and leaves no residue, making it perfect for car painting or striping. 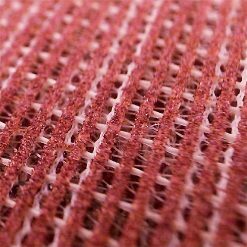 The Smith & ARROW high temperature auto backing tape is considered the best heat tape on the market rated to 120º. 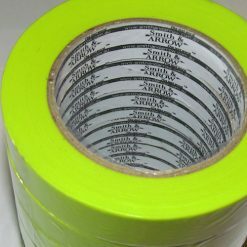 Known to provide extreme sharp edges for painting jobs, this tape is water resistant, leaves no residue and has much better humidity and UV resistance than normal masking tape. 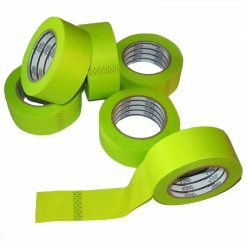 Our green heat resistant tape is specifically designed to have high resistance to bleed through. We only sell fresh inventory (because all tapes have a shelf life). 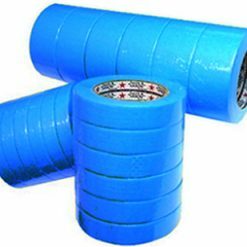 The Smith & ARROW blue house painting tape can be left in direct sunlight for up to 14 days and is best for internal and exterior house painting, rendering, most painting operations. This general painting tape has excellent resistance to oil and moisture and leaves a clean sharp edge. 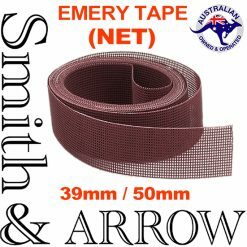 Smith & ARROW also sells Emery tape which is specifically designed for the auto / metal finishing industry for scouring and light deburring, scale and rust removal, blending and sanding. 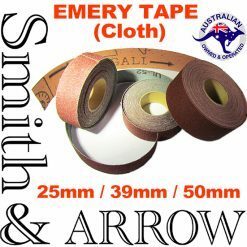 This Emery cloth backed tape is available in 25mm / 40mm / 50mm widths.